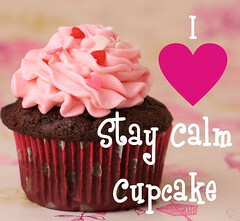 tips | Stay Calm, Have A Cupcake! Happy Friday everyone! You have survived the week and only have a few hours left until the weekend is yours!! 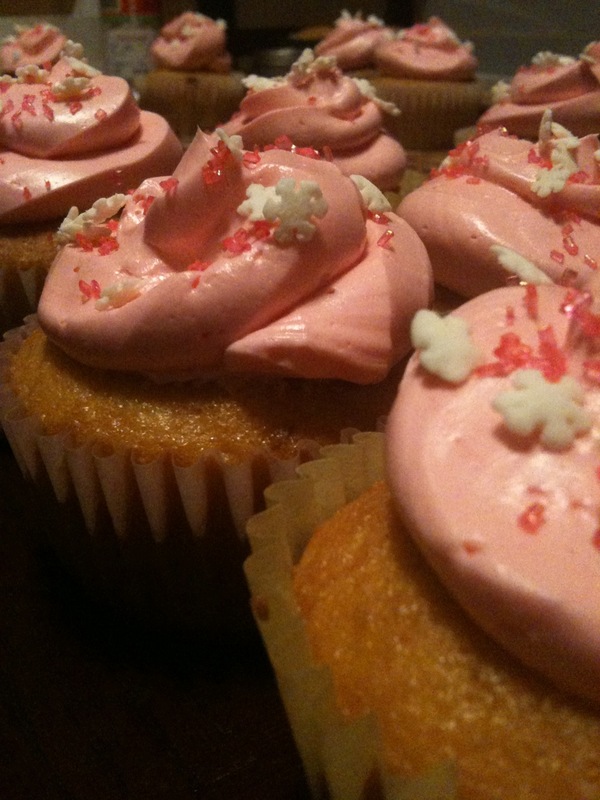 Last friday I posted a recipe for an oh-so-delish margarita cupcake (https://fontgirl.wordpress.com/2010/08/20/). 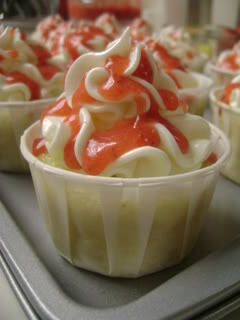 This Friday however, I am all about the Strawberry Lemon Malibu Cupcake! Combine the flour, baking powder, baking soda, and salt in a medium bowl and stir to combine. In the bowl of your mixer, combine the butter and sugar and beat until well-blended on medium speed. Add the eggs, one at a time, beating well after each addition. Add flour mixture and buttermilk alternately to sugar mixture, beginning and ending with the flour. Beat in the lemon zest and juice. 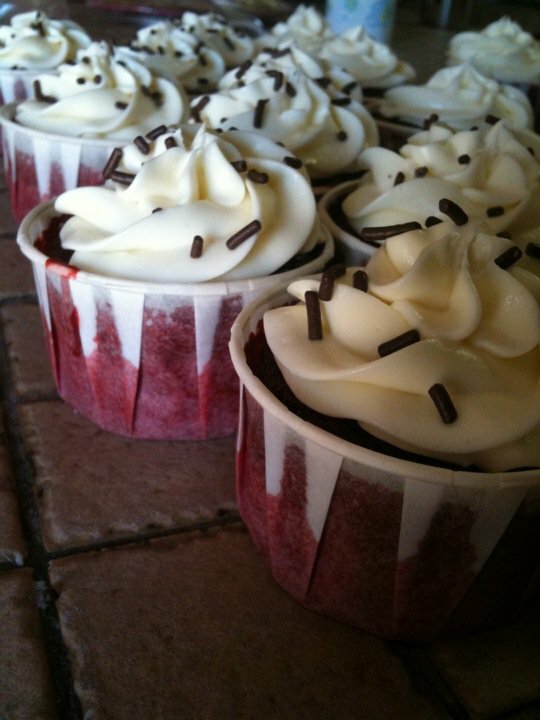 Fill each cupcake cup about two-thirds full and bake for about 17-22 minutes. Allow to cool completely before frosting. Immediately remove from heat, and slowly pour the hot syrup in a thin stream into the egg whites, beating constantly at high speed and making sure to not pour directly on the side of the bowl. Beat meringue until the bowl is cool to the touch. Mash the strawberries, lemon juice, and sugar together. Heat to a slow boil over medium heat. Let cool before you drizzle on cupcakes. Pipe the Malibu frosting on each cupcake. Drizzle some strawberry puree on top. Garnish with a strawberry if desired. 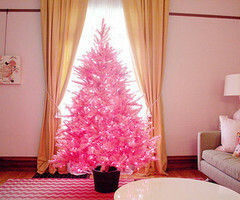 Picture submitted by Adrienne and Sara - Winners of the wacky cupcake contenst! Congrats to Adrienne and Sara who teamed up to make the winning wacky cupcake! 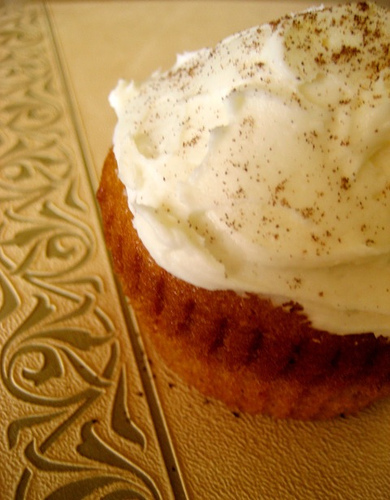 The duo made “Butternut Squash Cupcakes with Sage Cream-cheese Frosting” A strange bunch of ingredients for a cupcake, but the reviews said this cupcake tasted just like carrot cake. YUM! 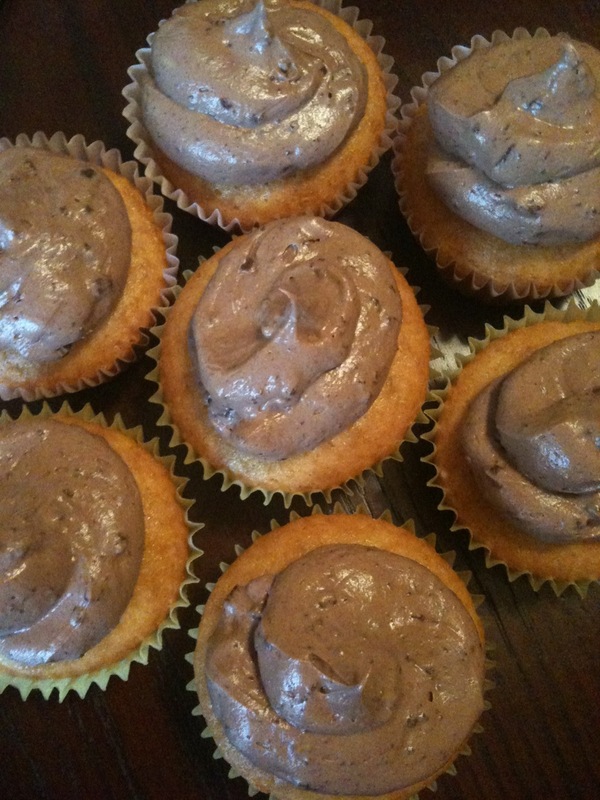 Not only did Adrienne and Sara search out a wacky and inventive recipe, they baked them and sent in pictures! Great job Sara and Adrienne, your recipe is wacky but sounds pretty darn good. 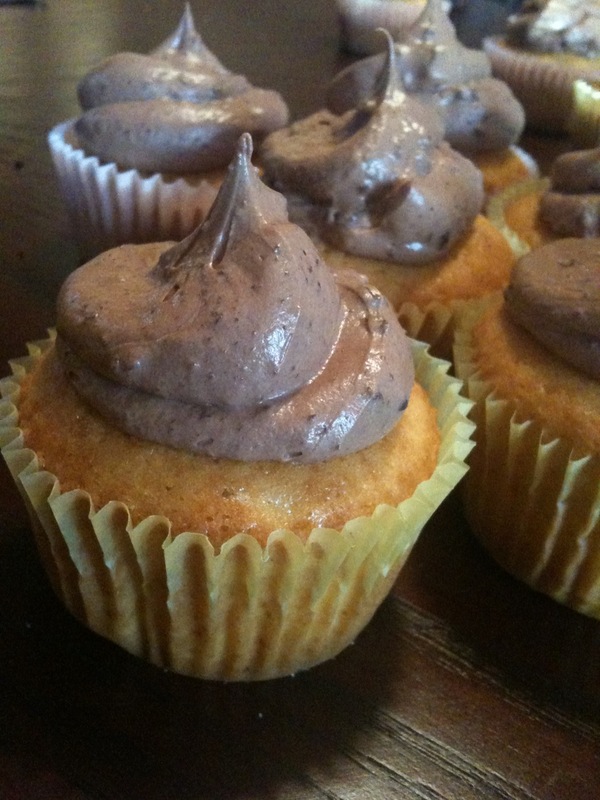 These cupcakes make me think of Fall - they would make a great lunch box treat for those heading back to school! 1) Quarter and seed the squash. Place in a dish with 1/4 cup of water and bake for 40 minutes at 350 degrees. Let cool, scoop out (no skins!) then puree in a food processor or blender. 2) In a medium bowl, whisk together flour, baking soda, baking powder, salt, cinnamon, ginger, allspice, and nutmeg. Set aside. 3) In a large bowl, whisk together sugars, eggs, and butter. Add dry ingredients and whisk until smooth. Whisk in butternut puree. 4) Divide batter evenly among liners, filling each about halfway. Bake at 350 until tops spring back when touched, and a toothpick inserted in the center comes out clean, about 18-22 minutes. Rotate pans once if needed. Transfer to a wire rack to let cool. 1. Bring cheese and butter to room temperature. 2. Heat sugar and water in a small pan under medium heat, stirring until sugar is dissolved. 3. Chop up the sage and add to the sugar and let boil over medium-low heat for 3 to 5 minutes or until the mixture is syrupy. Set aside to cool. 4. Sift powdered sugar into a bowl or onto parchment. 5. Beat butter and cheese at medium speed until creamy. 6. Add half of the sugar and the sage syrup. Beat until combined. 7. Gradually add remaining sugar. 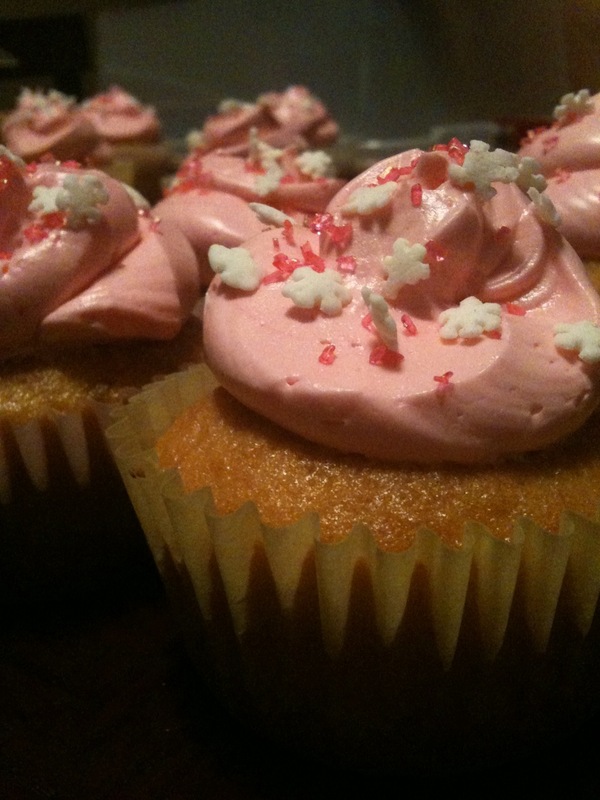 Spread onto cupcakes and sprinkle on allspice if desired. I’m just gonna cut to the chase here, I found a recipe for a breakfast cupcake that doesnt include bacon!! 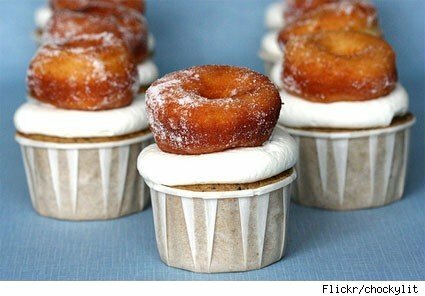 Its a take on donuts and coffee, and it looks so yummy! 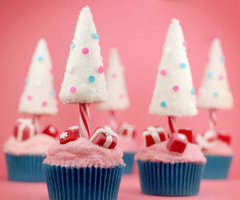 I found it on a Cupcakeblog.com (an overall amazing site for all things cupcakes!) 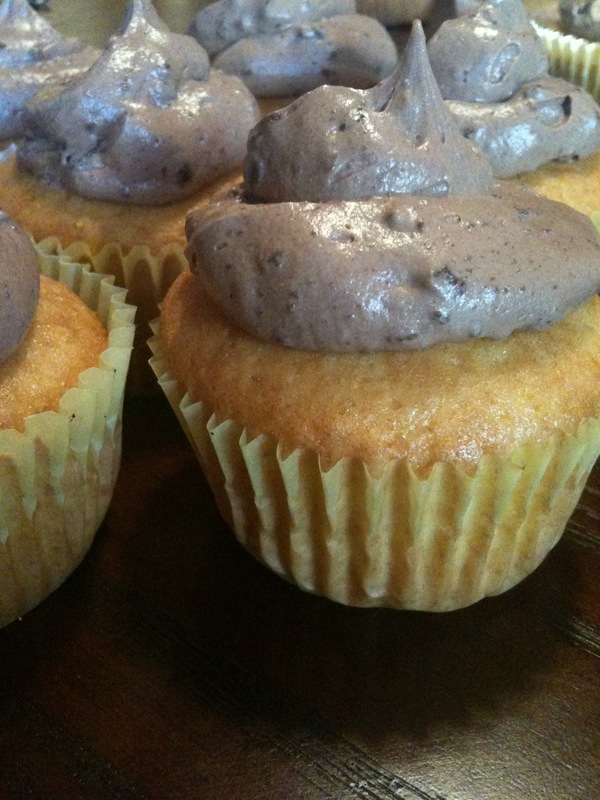 So, without further ado, here is the recipe for “Coffee and Donut” cupcakes. These will deffinitely be a hit in the office! Happy Friday! Today is the last Friday of the summer that I will have off – what a bummer! So far I have spent my day baking cupcakes, making frosting, and drawing up plans for my niece’s 2nd birthday cake – Sesame Street of course 🙂 Overall, it has been a pretty relaxing day. As I was looking through my recipe book, I realized that I have been meaning to share a great, oh so easy, recipe with you. Cake Parfaits! 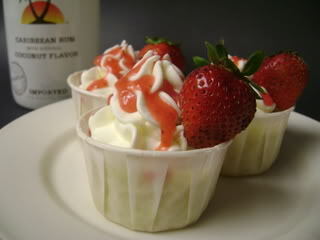 Little cups of cake and frosting, perfect for a personal treat or a dessert at a dinner party. Please forgive the picture though, trust me that they taste so much better than the picture makes them look! 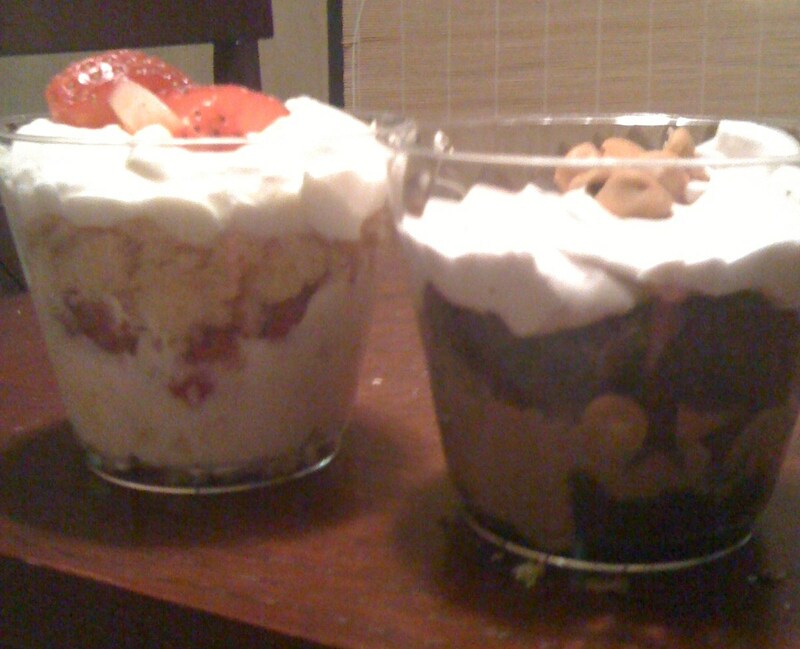 I made two kinds of cake parfaits – Vanilla Pineapple Cream and Double Chocolate Butterscotch. Enjoy! In a medium mixing bowl mix together the whole tub of cool whip and the dry vanilla pudding mix. Drain a little bit of the juice from the crushed pineapple – do not drain completely though. Gradually add in spoonfuls of crushed pineapple, mix with spatula until fully combined. Let chill in fridge for 15 minutes. In a medium mixing bowl mix together the whole tub of cool whip and the dry chocolate pudding mix. Let chill in fridge for 15 minutes.